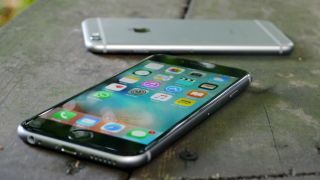 Apple is investigating a bug in the iPhone 6S that can cause it to display the wrong amount of battery life while you're travelling – but there is a fix for anyone who runs into the problem. The error occurs when the phone switches time zones automatically, or when you change the time on the device manually. Some users are finding the battery percentage is not updating, even though the charge is dropping. To fix the issue, the Apple Support page suggests you restart your iPhone, and once it has booted up go into Settings > General > Date and Time and make sure 'Set Automatically' is set to On. If the problem persists even when you're not changing time zones, the advice is to contact Apple support. Apple says it's aware of the issue and is exploring ways to fix it – we'd hope for a fix to come in iOS 9.2.1, although we're not sure yet when we'll see that. It's not the biggest issue for the vast majority of iPhone users, but it could be particularly annoying if you travel a lot.